Want something sweet after dinner but don’t have the kitchen to whip up some brownies? Try this easy to make Mud Cake! Welcome back to season 2! We’re bringing some Italian flair into the kitchen for this healthy, simple, and delicious veggie pasta. No kitchen required! 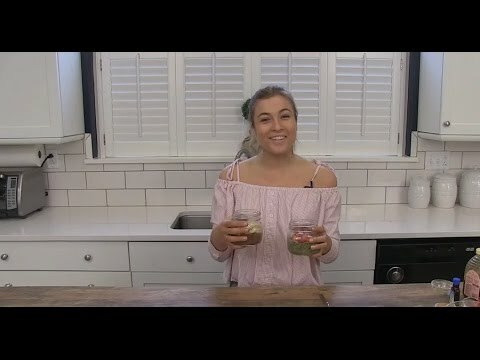 Packed with protien and magnesium, this week, Madi Sweedler shows you how to make chia pudding in two ways: Chocolate Banana & Matcha Vanilla.